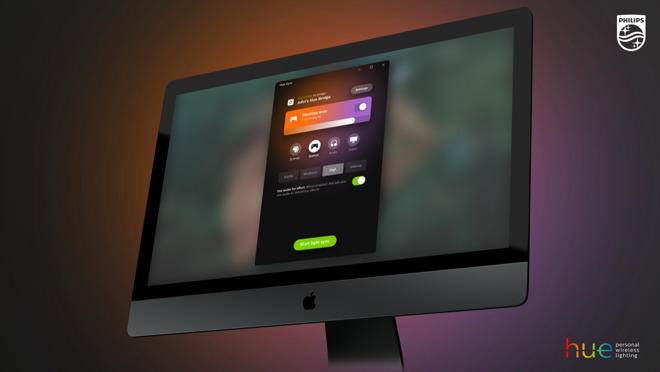 With Hue Sync, users with Hue color light bulbs can experience a "live" ambient lighting experience that ties directly to what's playing on their Mac's screen. Explosions from games light up the room, a movie scene depicting a sunset fills the space with red, orange and yellow hues. 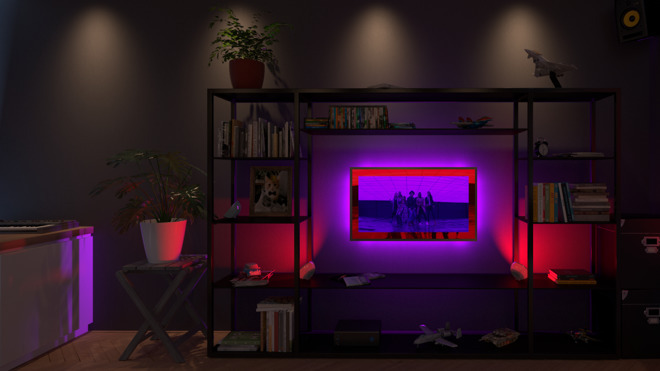 The feature is similar to technology seen in Philips' Ambilight HDTVs, which incorporate rear-facing LED modules that match the colors of content displayed on a screen's edge. Hue Sync also responds to sound, rhythmically changing bulb color and intensity to the beat of playing tracks. Philips demoed Hue Sync earlier this year at CES2018, and the technology looks quite promising. Latency is an issue with synchronized lighting setups, but if Philips got it right, lag between fast-paced games and ambient bulbs won't be a problem. The app will be available today as a free download from the Mac App Store and works with existing Hue lights. 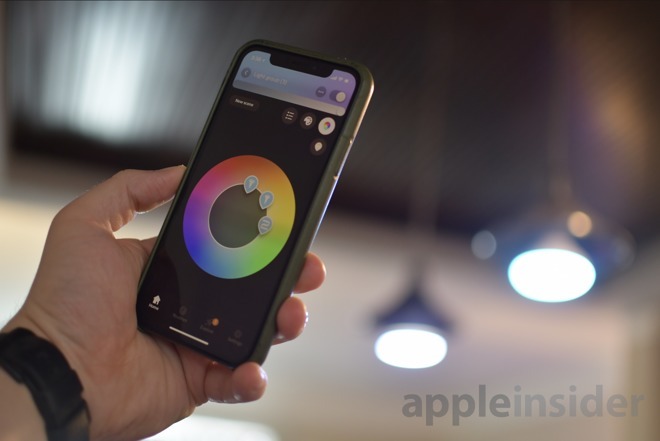 Hue Sync is the second major release for Philips this week, as the company just yesterday issued a completely revamped Philips Hue app for iOS with many new features and enhancements including creating lightscapes based on photos. Later this summer, owners invested in the Hue ecosystem will be able to purchase new outdoor lighting products that promise compatibility with HomeKit.